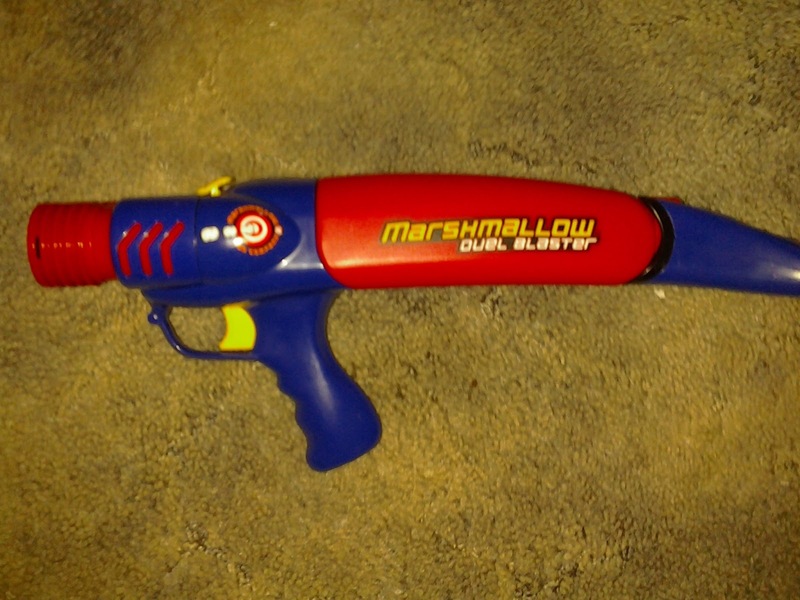 Starting off our examination of Marshmallow Fun Company's product line is the Duel Blaster. 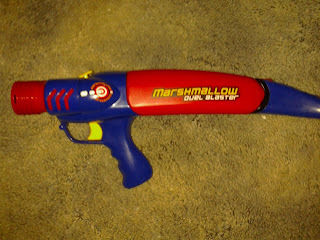 The original Marshmallow Blaster fired the large sugary treats 30 feet. This claims to launch TWO of them 35 feet. Let's disassemble this puppy and see what makes it tick! For reference, you could easily hit 100+ ft. ranges when singled for stefans. Next week, we'll be exploring the possibilities of these three blasters, and their potential Nerf applications. Stay tuned! Been busy with work and Guncraft (releases July 11th; I've been helping with multiplayer maps). However, I thought I'd provide an update on finding Panthers for cheap. In particular, Panthers with the old style, larger tanks. 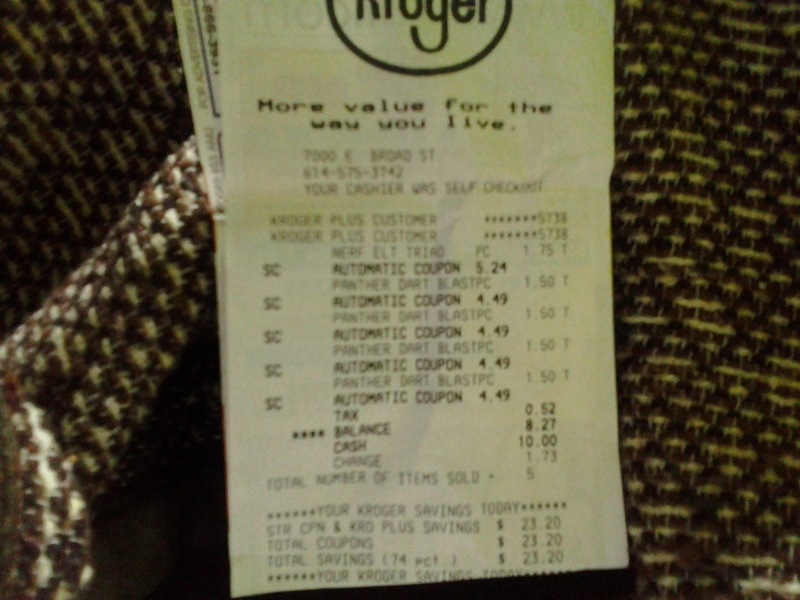 Kroger supermarkets usually have some kind of seasonal or toy section, and have had a good selection of Nerf and Buzz Bee blasters this summer (provided you use a Kroger Plus card, otherwise prices are a ripoff). However, some of the smaller selections are on clearance. 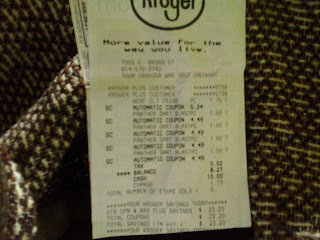 I've bought Panthers for $4.19, but the motherload was at this store. $1.50 Panthers, plus Elite Triads for $1.75! Keep a lookout for deals like this!